The long list of side effects of acid blocking drugs has recently grown longer; they are now linked to liver disease. Approximately 10 percent of Americans take a proton pump inhibitor drug to relieve symptoms of heartburn or reflux. Some examples of these drugs include Losec, Zoton, Nexium, Pariet and Prevacid. New research has shown these drugs alter gut bacteria in a harmful way, which can lead to three different types of liver disease. This research was carried out at the University of California San Diego School of Medicine, and published in the journal Nature Communications. According to the lead researcher, "Our stomachs produce gastric acid to kill ingested microbes, and taking a medication to suppress gastric acid secretion can change the composition of the gut microbiome. Since we found previously that the gut microbiome -- the communities of bacteria and other microbes living there -- can influence liver disease risk, we wondered what effect gastric acid suppression might have on the progression of chronic liver disease. We found that the absence of gastric acid promotes growth of Enterococcus bacteria in the intestines and translocation to the liver, where they exacerbate inflammation and worsen chronic liver disease." The three liver diseases that proton pump inhibitor drugs promote are alcohol-induced liver disease, NAFLD (Non-Alcoholic Fatty Liver Disease) and NASH (steatohepatitis, which is a more severe form of fatty liver). Each of these liver diseases raises the risk of cirrhosis of the liver. Cirrhosis is the 12th leading cause of death worldwide, and rates in the USA are rising astronomically. The researchers concluded their study with the following statement: "Our findings indicate that the recent rise in use of gastric acid-suppressing medications might have contributed to the increased incidence of chronic liver disease. 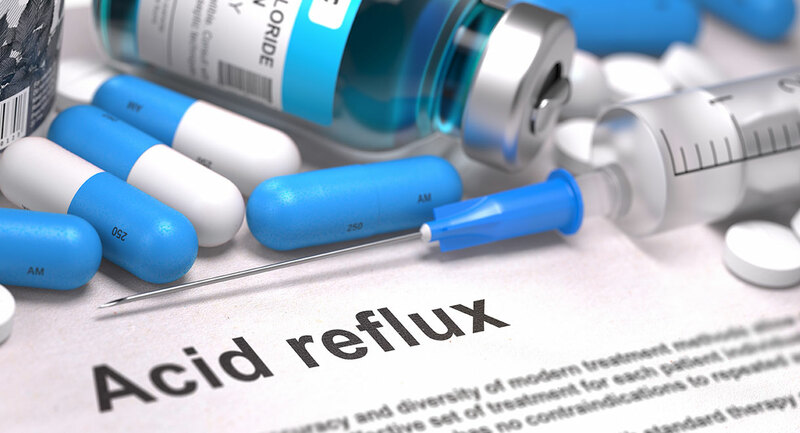 Although obesity and alcohol use predispose a person to acid reflux requiring antacid medication, many patients with chronic liver disease take gastric acid suppressive medications without appropriate indication. We believe clinicians should consider withholding medications that suppress gastric acid unless there is a strong medical indication." It is true that being overweight and suffering with reflux and heartburn are associated with a greater risk of fatty liver. This is because obesity is associated with a higher level of harmful bacteria in the intestines. Sugar and refined carbohydrates like bread, breakfast cereals, crackers and other foods made of flour encourage the overgrowth of bad gut bugs. SIBO is a well known risk factor for fatty liver. Taking an acid suppressing drug compounds this problem. Stomach acid is your friend. It is very necessary for adequate digestion of protein and minerals, but also it’s a wonderful disinfectant for your gut. You can take stomach acid in supplement form. 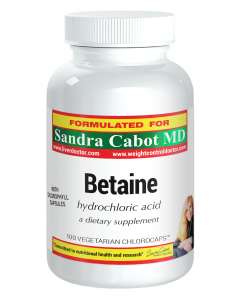 It is called betaine hydrochloride. It should help to improve nutrient absorption and discourage bacterial overgrowth. 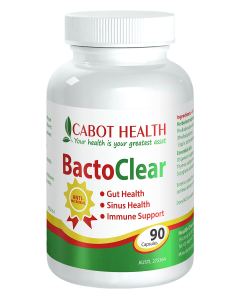 BactoClear capsules contain essential oils of clove, oregano and thyme. They have a powerful antimicrobial action in the gut. Fortunately there are many safe and effective ways for managing reflux, which you can read about here. Please don’t discontinue any medication without prior discussion with your doctor.